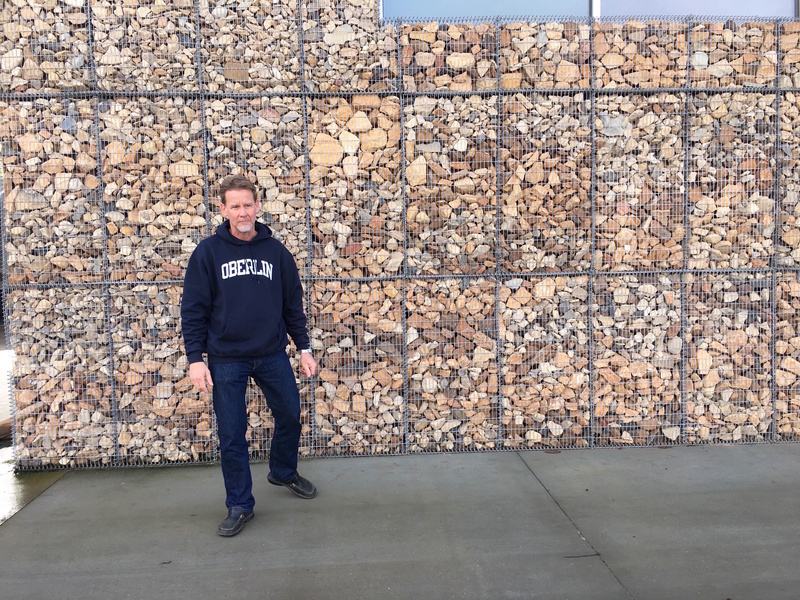 Owner Kevin Jussila standing in front of his self-designed and self-built tasting room is Paso Robles. The exterior wall is lined with Adelaida rocks gathered during the construction and planting of his vineyards. Today, Kevin farms just shy of 50 acres of vines dedicated to classic Rhone varietals. And, as of his 2013 vintage, all wines boast all-estate grown grapes. The petite tasting room is walk-in friendly Fridays through Sundays, though Kevin encourages potential visitors to book appointments for an elevated and more personal experience. In fact, starting this year, the Kukkula tasting room will have expanded hours specifically dedicated to by-appointment bookings. It’s a welcome change, as Kevin will be able to host more guests himself and share his life’s passions-in-a-bottle. His enthusiasm is contagious, his knowledge extraordinary — if you’re looking to learn while you taste, Kukkula is the place to be, and Kevin the one to talk to. When it comes to the wine, Kukkula truly celebrates the site’s specific vineyard type. 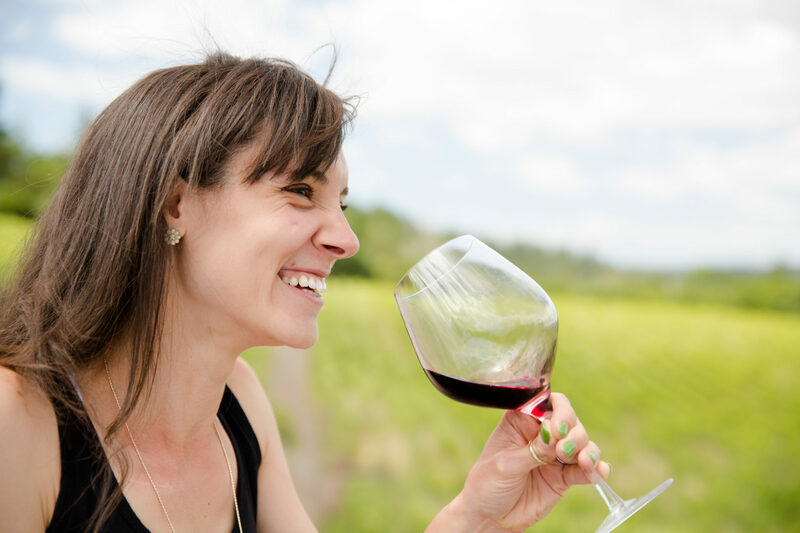 The heavy clay, the porous sedimentary rock, the sloping hill that perfectly catches the warmth of the noon-day sun — you’ll find that each wine has a fun, funky little heat-kick, and yet the overall quality is calm and refreshing. And, since Kevin’s wife is a former chef and Kevin is a self-proclaimed foodie and home-chef, you can be sure that each wine is crafted with a meal in mind. WHAT TO TRY: You’re in for a treat with all of Kukkula’s full bodied red blends, but be sure to ask to try the 2014 Noir (sales are reserved for club members). On the nose, this predominantly Syrah red wine (with just a hint of Counoise) has a farmy funk to it at first that, with a swirl of the glass, reveals a more gritty-earthy aroma reminiscent of toasted baking spices (think cacao or coffee bean). The palate will surprise you with a burst of jammy black fruits that slowly reveal the berries’ brambly bush branches, and conclude in a plush tannin of fertile earth. The last thing you’ll feel is the warmth of the alcohol radiating from your chest, like a hug from the inside out. INSIDE INFO: Kukkula’s flagship wine, Lothario (a Grenache, Mourvèdre, Zinfandel blend), is a Finnish word for “womanizer.” However, the wine is actually named after Kevin’s close friend, Lothar, who played a pivotal role in Kevin purchasing his Paso Robles property. Make sure to ask about the sweet — and funny — story behind the label. Thank you to Kevin Jussila for hosting me on a tour of the Kukkula facility and through the Kukkula current releases. For more information about Kevin, Kukkula, and the wines, please visit the Kukkula website. Never had a Kukkuls wine. I do have one in waiting I found at K & L. Gonna have to uncover it!! Nice work Stacy!! ooh…i’m curious which one you found at KL! Kevin is a great guy! We visit Kukkula somewhat regularly. We adore his Lothario, but it is tough to get. https://youtu.be/Apyb6v-0Z_o Plus the winery is so pretty- and his house on top of the vineyard- OMG!!!!! Nice.. I have to get out to PR area. It’s something we haven’t focused on. Great article! Wine aficionados from Pasadena, Ca. are members of just four clubs, two Paso and two Santa Ynez… We got in early on this one!